Highly recommended... Satisfied with the product. Very fast delivery . Yet to use. Looks good. Good received in good condition, This is the best site I usually bought my hp accessory. Highly recommended. Item received in good condition in great packaging. Good quality. Well purchase again. Well package n quite fast delivery. the Screen protector like too thick too hard to press on my Screen. Everything is okay. except that there's no glue in the center, and i'm looking for one that sticks in the center as well. But still a good one as a standin while i search for others. good cover , sppedy delivery, no sensitivity issue. Hi, may I know is the tempered Glass case friendly type? Hi, only those have stated case friendly one is. Thank you. Hi do you have privacy for Google phone? Hi there, sorry we don't have carry Google phone model's tempered glass. Any chance if you will be bringing in? Understand is full coverage but is it full stick screen protector or only the side stick? Hi there, only the Mryes brand one is full glue, while the others is side stick. Thank you. 4D Arc Tempered Glass is case friendly? Hi there, Anank tempered glass is full coverage, not case friendly:) Thank you. Have been using numerous tempered glass (full coverage) on iPhone XR, but the edges always cracks! Edges of the tempered glass NEVER last more than 3 weeks, and it just cracks!!! 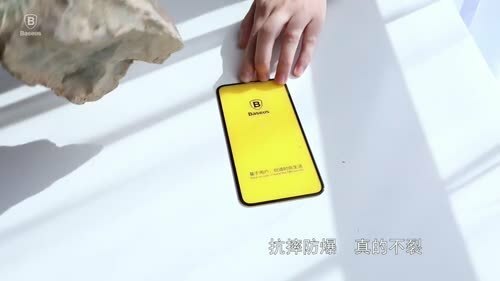 Is Baseus Soft PET tempered glass screen protector a better choice? is the Soft PET available for XR? else, what do you recommend please. Hi, sorry we dont have soft pet one for XR, only hard edges one. By that, we do recommend you the Spigen brand's tempered glass and casing as the quality is much better. To reduce the chances of physical damaged from tempered glass we actually suggest to get a casing cover at the same time as an extra protection. I have changed to Spigen Full Coverage Tempered Glass and Casing Cover! But casing does not cover beyond the edge surface in the front! It is the tempered glass edges that crack only! Please advice alternative on screen protector please. Hi, Spigen casing can fits Spigen tempered glass well indeed. Which casing you are using? Yes, its the Spigen Ultra Hybrid Series (Clear), and it fits nicely with iPhone XR except that the front top surface edges are not covered! But the point here is NOT the casing, Its the Tempered Glass Screen Protector where the edges crack easily!!! Hi, kindly refer to the attached picture as the ultra hybrid case is definitely covered the beyond edge surface of iphone. Tempered glass will not just cracked easily by having a cover with it. I am not referring the edge of iPhone. I am referring the edges of Tempered Glass Screen Protector, stick on the iPhone screen or front surface! If you lay iPhone horizontally, you will notice hybrid casing does NOT cover the edge of Tempered Glass SP. The edge is higher than the casing. It is shown in your picture too! HI, if that the case, you may consider the Mryes brand's tempered glass. Thank you. Hello. Does the 4D Arc Infinity PET Film have in the blue light ? For s10+ Only have option for clear. Hi there, unfortunately we currently only carry clear type for S10+ model. Sorry for any inconvenience caused.